Have you ever seen a boar family in the wild or spotted deers in dense forests or woken up to gibbons singing? Have you ever seen a boar family in the wild or spotted deers in dense forests or woken up to gibbons singing? 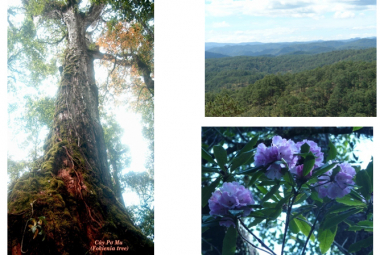 The trail is a great choice for you to go back to nature, eat and sleep and play in the forest and walk to the top of the highest mountain in Lang Biang at 2,287m above the sea level. 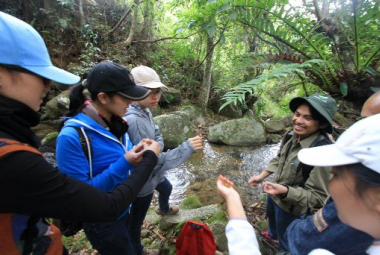 The journey starts with the endemic 3-leaf pine forest of the foggy highland, crossing rivers and springs that run into Da Nhim river connecting Lam Dong and Ninh Thuan provinces. Then the landscape changes to primary forest with diverse ecosystems that house endemic, valuable and rare flora and fauna such as grey-crowned crocias, Vietnam greenfinch, gibbon, flying vampire frog, the 1,300-year-old Fokienia hodginsii, Langbiang Rhododendron, exotic orchid, and more. 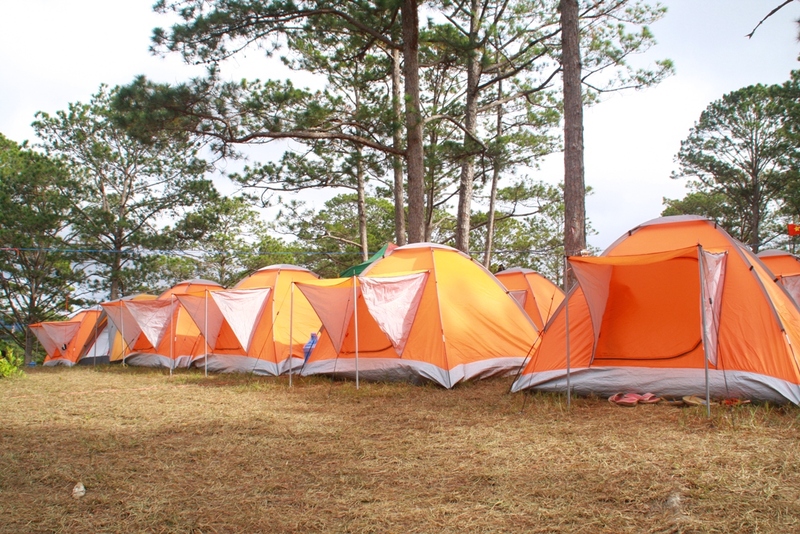 The one night spent camping in the forest to get away from the noisy sound of urban place will help you relax and refresh from a life filled with chaos and worries. What to bring: Camera, hat/ cap, trekking shoes, sunscreen and repellant . Available rental gears (extra charge): Binocular, sleeping bag, hammock, blanket, mobile flash light and leach socks. Please make requests when you make a booking of the tour. 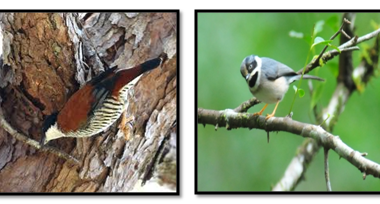 Bird areas: Langbiang, Cong Troi, Bidoup. Bidoup - Nui Ba National Park with an area of 70.038 hectares and is one of the five biggest national park in Vietnam. To with Bidoup - Nui Ba National Park visitors not only known biological diversity through documents but also directly explore the diversity of animals and plants through ecotourism routes through the forest .... Join us to explore the world grandeur of mountains Bidoup through the long tour on which you want to experience. This will be a great option for anyone wanting to go to the nature, eating-sleeping-having fun and going trekking at Tham Tham waterfall. The waterfall is 50m high. The K’Ho Lach living here belives this is the place for “the fish turns into a dragon”. This will be a great option for anyone wanting to go to the nature, eating-sleeping-having fun and going trekking at Tham Tham waterfall. The waterfall is 50m high. The K’Ho Lach living here belives this is the place for “the fish turns into a dragon”. The trail starts from trekking through pine forests, through streams which are the resources of the first hydroelectric power station of Vietnam, the Ankroet station and through primary forests with a great biodiversity of endemic, rare animals and plants, namely Vietnamese greenfinch, grocias, gibbon, flying vampire frog, giant fokiana trees, orchids, chest nut, etc. 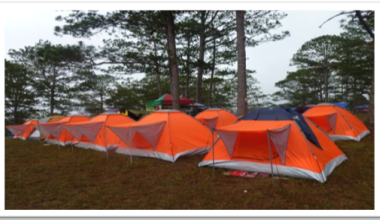 1 night camping in the primary forest at the waterfall will relax and entertain visitors as well as make you regain energy for the next day of challenging the roof of Dalat, the Langbiang mountain (2167m) . 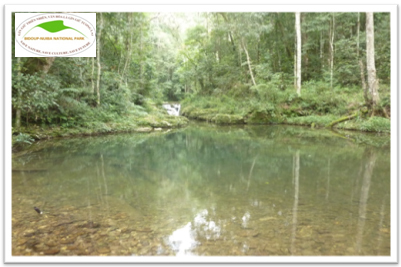 This trail is about 10km in Bidoup Nui Ba Nantional Park with a divervisified natural resource with many rare species. This is also an ecotourism site with natural forests. Visitors will have unforgettable memories when trekking through coffee farms, pine forests, broad-leaved forests to reach waterfalls and villages of ethnic K’Ho people. What to bring: Camera, hat/ cap, trekking shoes, sunscreen and repellant. Tour fee includes: Interpretation at visitor center and trail, lunch, water, entrance fee of national park, service fee and insurance. Thien Thai Waterfall is situated near the Administrative area of Bidoup-Nui Ba National Park, around 35 km from Da Lat, in Da Nhim Commune, Lac Duong District. From Da Lat, you go along the interprovincial road 723 to Da Nhim, and turn left to the newly open road for 6 km (or 15 minutes by car). The road winds in the greenery of the pine forest and leads you to the Administrative area of the Park. The Visitor Centre welcomes you by offering general information on nature and local culture; this is also the center of environment interpretation through interactive models, signboards, video, and games. You can also find information on other trails in the Park here. Thien Thai trail is newly developed in the Park. 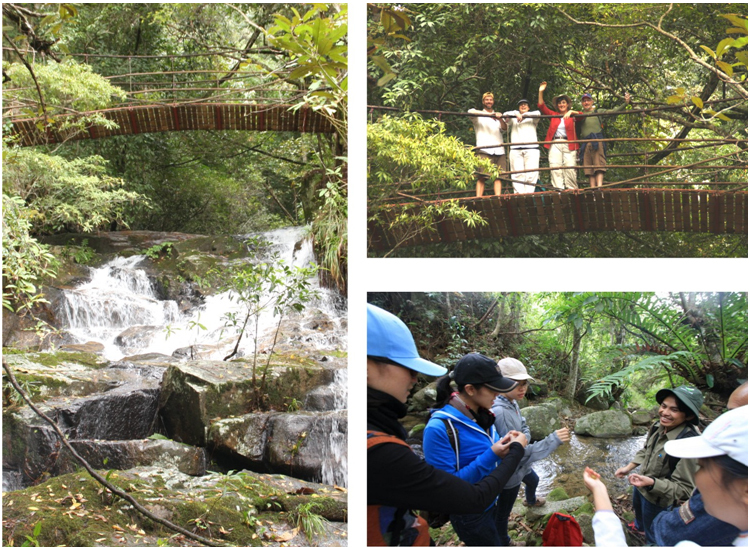 You will walk along the waterfall with a medium slope, onto the suspension bridge for a memorable experience. Thien Thai waterfall has many layers and surrounded by natural landscape. It’s a wonderful experience to camp here and try the cold water fish. Along the way you can pay a visit to the salmon farm and buy some products home (salmon, fresh flower). Closed moist evergreen rain forest is also a unique feature of this trail. 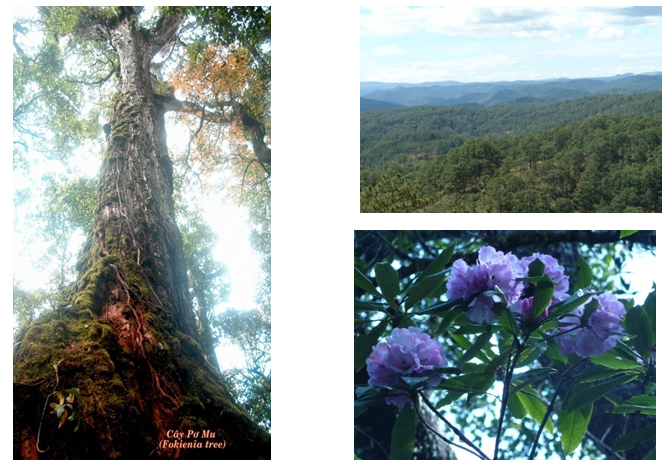 The flora here are diversified with woody species, vine species; some trees have huge trunks. Red pine, a valuable medicinal tree, is also found here. You can only touch the naturally grown red pines in Bidoup-Nui Ba area. You can also discover other plants such as Ormosia, senega roots, snake-needle grass, giant crape-myrtle, … with the help of local interpreters. 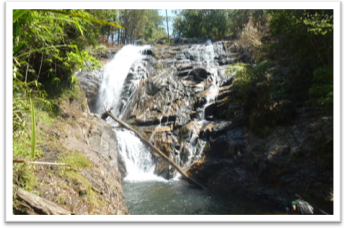 Surrounded by natural, lovely landscape and a diversified ecology, Thien Thai waterfall is an ideal gathering spot.